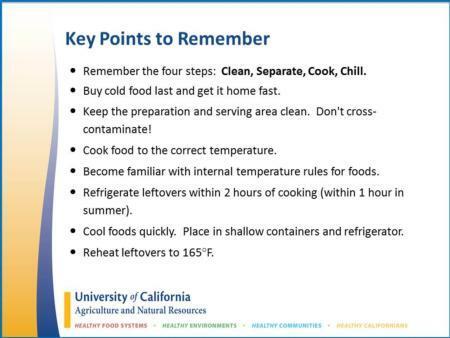 The key points to remember for reducing the risk of foodborne illness are listed here. There is no quiz or score for this activity. Click on the link to view the activity.